In this practical guide to the anatomy of hope and how to harness its incredible power in your own life, a leading psychologist "shines a light on one of the most powerful, and most misunderstood, emotional forces in our lives" (Daniel Pink, author of Drive). Some people manage to bounce back quickly from setbacks, to lead happy, healthy, productive lives, no matter their circumstances. These people have found a way to make good things happen even when luck isn't on their side. The secret ingredient they use to transform their lives, it turns out, is hope. Using discoveries from the largest study of hopeful people ever conducted, Shane J. Lopez, PhD, "the world's preeminent expert on hope" (Sonja Lyubomirsky, author of The How of Happiness), reveals that hope is not just an emotion but an essential life tool. Hope is a leading indicator of success in relationships, academics, career, and business, and with Making Hope Happen, you can measure your level of hope and learn how to increase, use, and share it. In addition, Lopez shares the uplifting stories of real people who have created hope in their own lives and communities, from a CEO who befriended a curious nine-year-old to a college student who is thriving after two heart transplants. 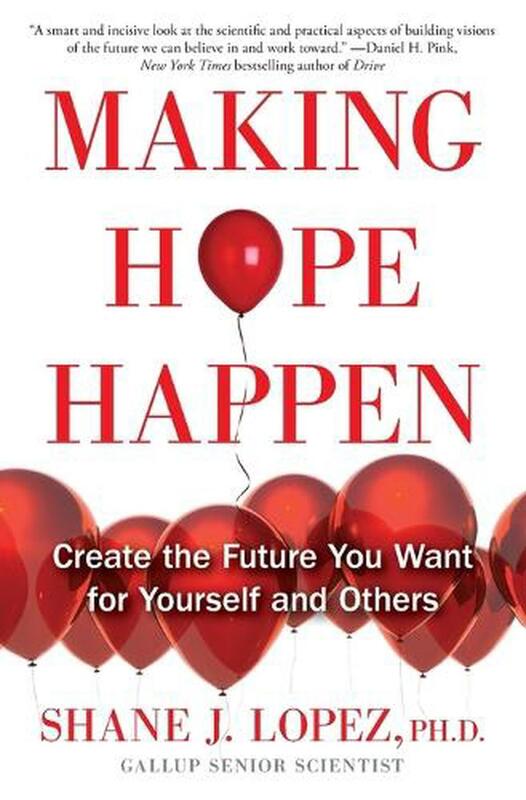 Praised as "thoughtful and pragmatic" (Publishers Weekly), Making Hope Happen is for anyone seeking a better future--for themselves, for their business, or for the world. The message is clear: Hope is a choice. Hope can be learned. Hope is contagious. Hope can change your life.